The aftermarket windscreen required additional clamps, as the 250 Duke does not have provisions to install the unit. With the new windshield, the rider gets better windblast protection for enhanced comfort on the highways. Then there is the budget tail-tidy kit that reduces the stock hanger at the rear and gives the naked roadster a shortened look. The hazard light function is added by installing an aftermarket switch and a rewiring of the blinkers. The changes are limited to visuals, and the engine specifications have not been changed. Thus, you do not have to worry about the warranty while making these changes to your 250 and 390 Duke motorcycles. For reference, the spec sheet of the KTM 250 Duke features a 248.8 cc single cylinder, liquid cooled, fuel injected motor that is paired to a six-speed gearbox with a slipper clutch, and produces 30 PS of power at 9,000 rpm and 24 Nm of peak torque at 7,500 rpm. The instrument console on the 250 Duke is identical to the unit on the Duke 200 and not the swanky screen from Duke 390. The KTM 250 Duke sits between the 200 Duke and the 390 Duke. 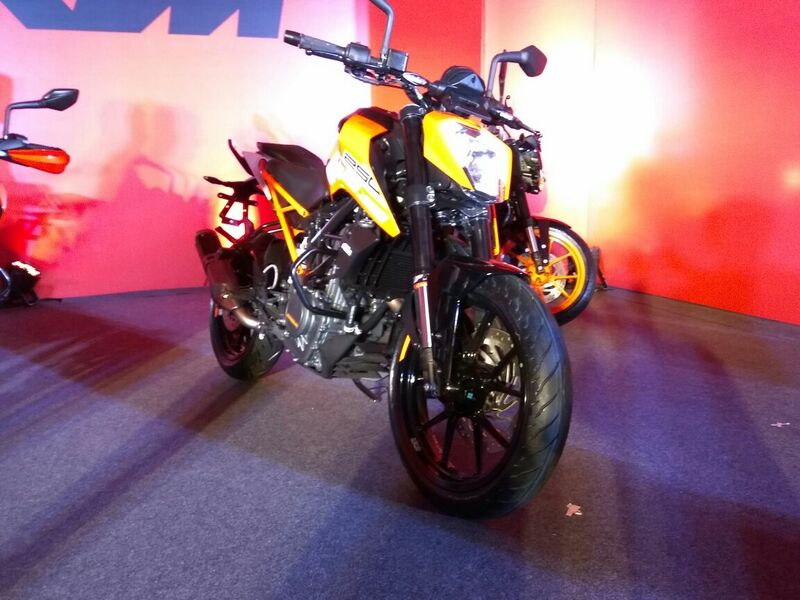 The motorcycle misses on features like TFT display and LED headlight that is seen on the 390 Duke. In more updates, KTM is expected to expand its product portfolio with the launch of the 790 Duke very soon. The bookings for the bigger KTM Duke model have commenced, and we hope to hear a launch announcement very soon. Once launched, the 790 Duke would compete against the likes of the Triumph Street Triple, Kawasaki Z900, Suzuki GSX-S750 and the Ducati Monster range among others.